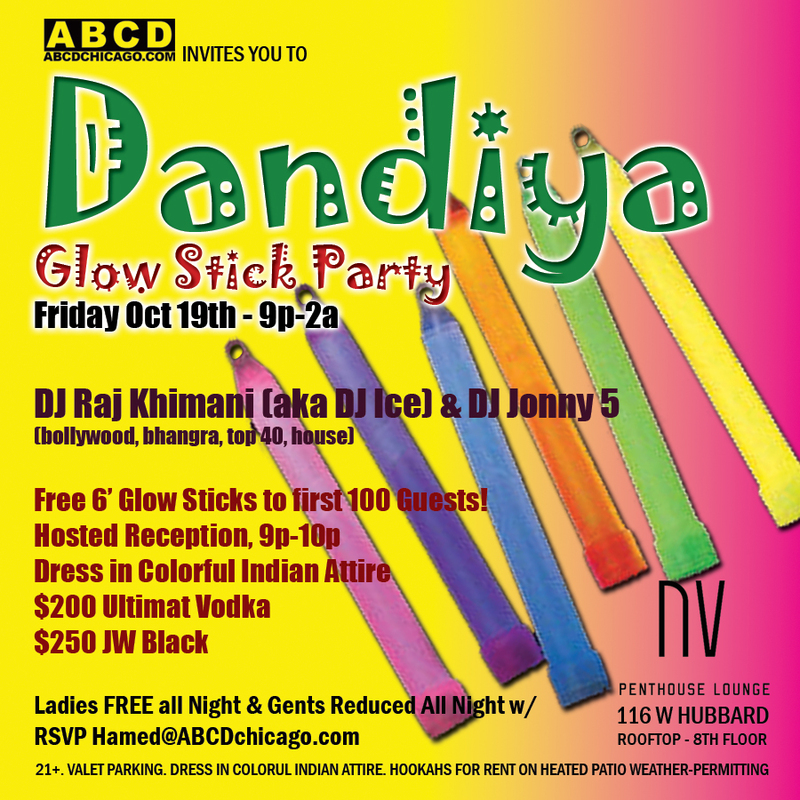 Dandiya Glow Stick Party, Friday, 10/19/2012, 9p-2a at NV Penthouse Lounge, 116 W. Hubbard in Chicago. 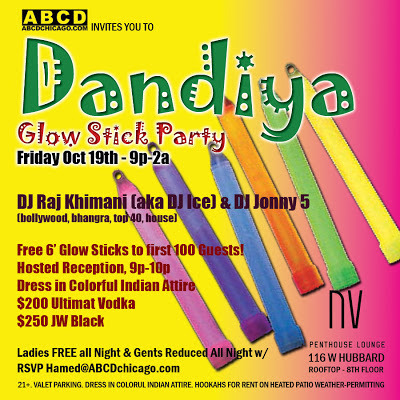 Comp 6" Glow Sticks to first 100 guests. Hosted Reception, 9p-10p. $200 Ultimat Vodka and $250 JW Black Specials. RSVP Hamed for Ladies Compd All Night and Guys Reduced. Dress in Colorful Indian Attire. 21+. Valet parking available. Hookahs for Rent on the Heated Patio, weather-permitting.